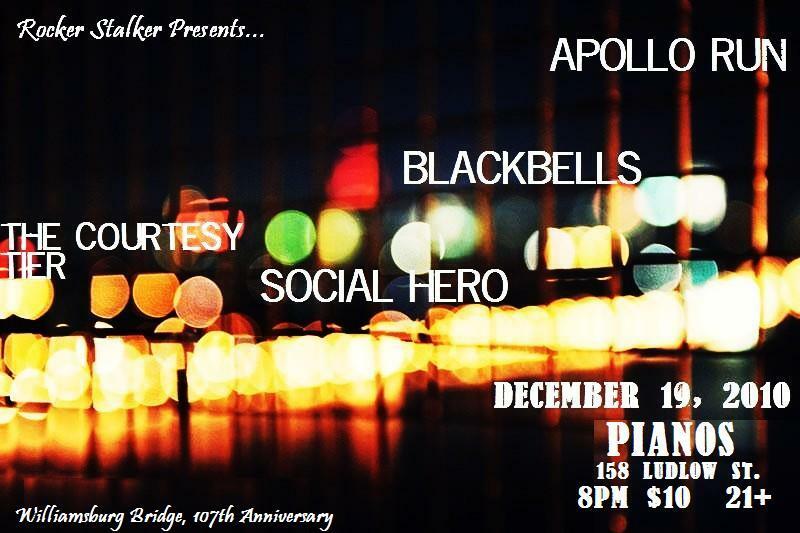 Holidays and Birthdays…12/19 at Pianos NYC! After Hanukkah, before Christmas, Kwanza, and New Years, on December 19, I am hosting a show at Pianos with four fantastic bands to celebrate the holiday’s and the debut of the Williamsburg Bridge. The line up is The Courtesy Tier, Blackbells, Apollo Run, and Social Hero, and doors are at 8pm! It’s $10 and 21+! So come celebrate the jam-packed holiday season with some good rock ‘n roll! WWRSD? : The Shakedown #2 with New Madrid, Apollo Run, and The Shake Tonight!